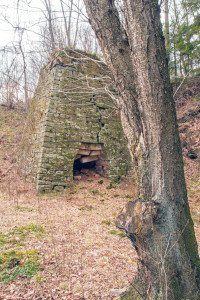 The Victory Furnace is perhaps the best-preserved of all of the Venango County furnaces, of which the remains of 22 can still be found. 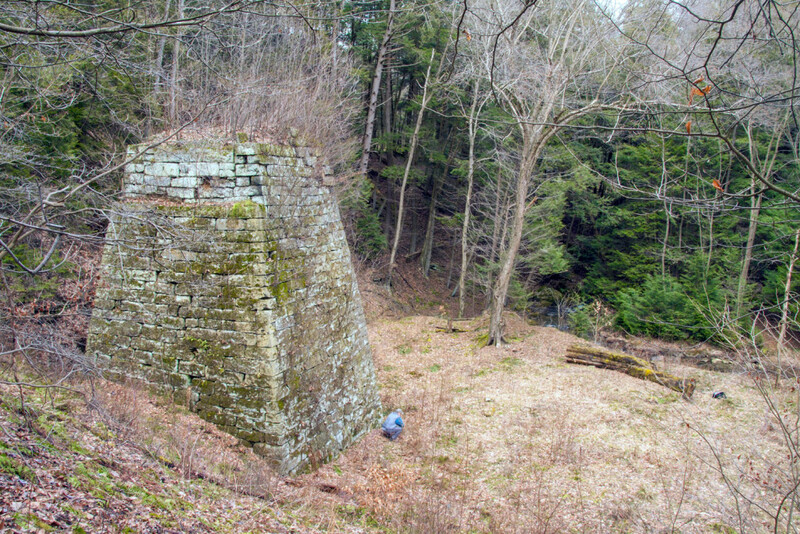 This furnace, located along Victory Run in Victory Township, was built by Andrew Bonner in 1843. Owners of the furnace since Andrew were Archibald & Joseph Bonner, Samuel Hays, and finally George Crawford. It is interesting to note that Samuel Hays, an Irish immigrant, served as Venango County Treasurer and Sheriff. He also served in the Pennsylvania House of Representatives as well as the State Senate; and he served as brigadier general, commanding the First Brigade, Seventeenth Division, Pennsylvania State Militia, from 1841 to 1843. Even more noteworthy is that Samuel’s son Alexander worked at his father’s iron furnace in 1848-50 after taking a break from his military career, where he served in the Mexican-American War. When the Civil War broke out, Alexander Hays re-activated his military career and was wounded multiple times in a dozen battles which included Gettysburg, where a statue was erected in his honor. He finally died in the field during the Battle of the Wilderness, four years prior to his father Samuel’s death in 1868. As mentioned, the furnace is in excellent condition, and can still be entered for a clear view up the stack. 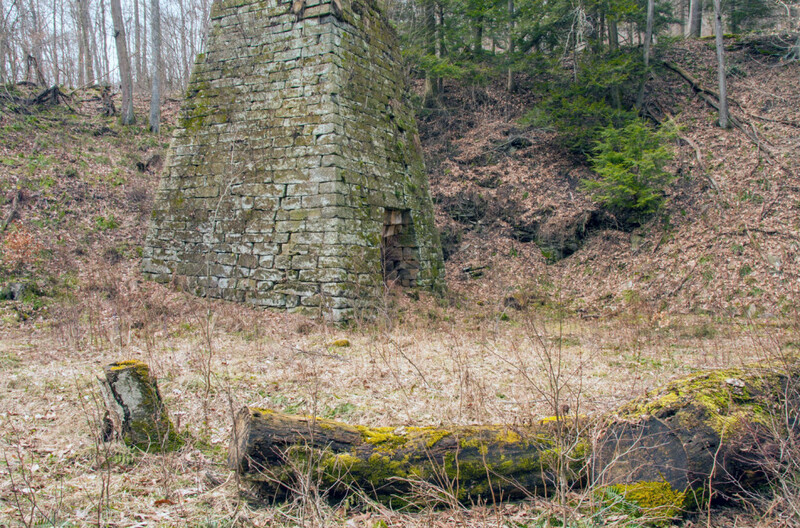 The Victory Furnace is located at N 41° 18.929′ W 79° 52.788′, however the property is currently posted, so any visit to this furnace should be done only with permission from the landowner. My grandpa and i walked to a furnace about 30 years ago. We headed behind his house on old rout 8 towards Polk and after 5 miles or so we found it. Big stack of rocks surrounded by foundations of buildings everywhere. It is still hard for me to imagine such a large community was out there in the middle of nowhere and eventually abandoned. 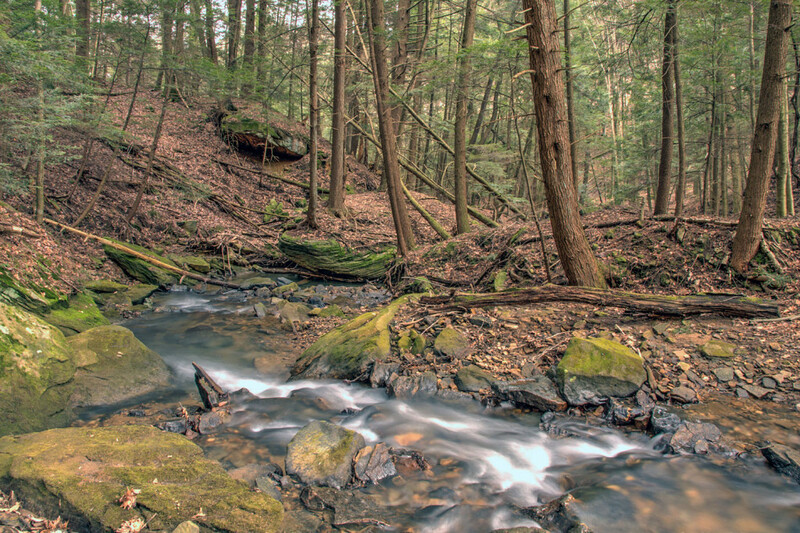 In the late 80s or early 90s, I trekked to the Victory Furnace with a Seneca Boy Scout, who undertook a large clean-up project to cut wood and brush away from the furnace, in order to preserve it, as his Eagle Scout project. 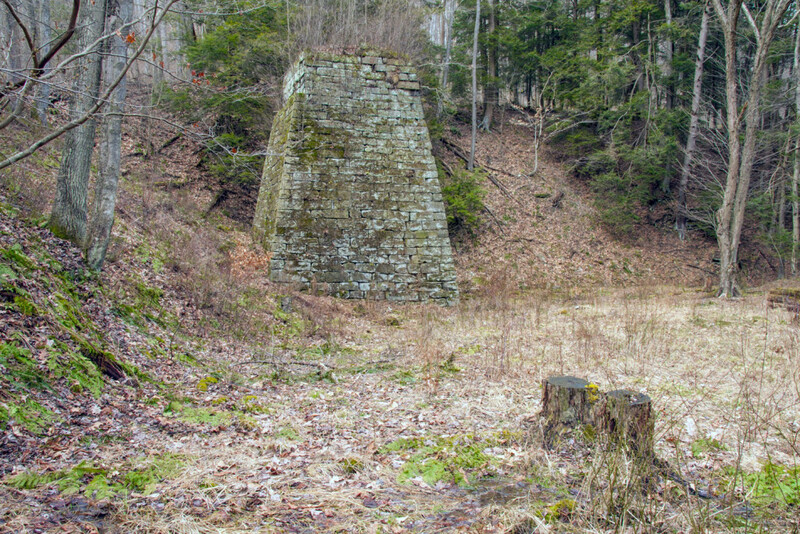 I wrote a feature article for The Derrick, as well as an accompanying article on what furnaces were still visible in Venango County, with a brief history on each. It’s been years since I’ve been back there, but it fascinated me, and still does! Whoops!!! I was completely wrong about the furnace!!! The one I wrote the article on, and the young man used for his Eagle Scout project was the VAN iron furnace! Sorry!